With a fairly large 55 inch, the Vizio P-series offers a good variety of features at very affordable price. It has a 126-zone full-array backlight which offers variable contrast and is highly sharp in its screen view. However, the Android remote transmitter is quite slow and the set lacks a TV tuner. But with great picture quality and an HDR Dolby vision, this unit turns out to be a profitable purchase. This beautiful TV unit with its state-of-the-art OLED screen will help you save significantly. The color quality is outstanding and this, coupled with extreme highs and lows of brightness and darkness assures a high quality product. Its drawback would be a comparatively low picture quality but its sleek design and excellent remote functionality buries its limitation. If you are lucky enough to rub out a genie from a bottle, then this TV from LG should be the first of your 3 wishes. The LG OLEDE7P is perhaps the best in its kind out there but that means it comes at a substantially high price. It outperforms every other TV, thanks to its wide viewing angles, sharpness in color and perfect black and bright levels. Inspite of its superior quality, the OLEDE7P maintains a super sleek body. The only drawback is the low image quality and high price. But you can check resources like HotUKSavings who provide attractive discounts, which will help you to cut down the cost even further. A well established and reputed brand in the television industry, Samsung unleashes its curved 4k experience through the KS9800. Curved TVs are known to provide a very immersing experiencing the subject and this is upped by the quantum-dot LCD panel and a very high black depth. Its well-developed interface can be used to control smart home devices quite easily. Ironically, the only drawback is its curved shape which can be a bit discomforting for some viewers. But if you like this new design, then the KS9800 cannot be ignored. Well, as you can clearly notice, we just can’t get enough of Samsung’s charm and quality in this field. Taking its market presence one step further, the KS9000 is perhaps the smartest TV set you can presently think of. With the help of Samsung Smart Things, this gadget will assist you in your day to day home automation process. Actions like, adjusting your thermostat and light control are now quite literally at your fingertips! It reverts to the flat screen feature with excellent brightness and color adjustment. With a price range that is not very high, the KS9000 is a must have. Remember the genie and the 3 wishes? This should be your wish number 2! Another LG masterpiece, the 4k E6 model delivers exceptional picture quality and one of the highest dept in black. It has a jaw-dropping sound system and supports the latest in HDR formats. Other features include the thin construction, bottom sided built-in sound system and the provision for HDMI, WiFi, USB and ethernet ports. The only limitation being its high price. Enough discussion on the high-end models! Others drawback is Insignia’s advantage. It has an astounding up scaling feature which upgrades the standard HD and Blu Ray videos. This well priced set guarantees to provide you with all the qualities that its competitors promise. It has a remarkably swift and easy streaming process and can be controlled via your smartphone through an app. Its major drawback is the incompatibility with HDR format and a below par contrast ratio. Another budget friendly investment for a good quality product is the Vizio M Series TV set. According to some reviews, this is the best value for money unit if we talk about the picture quality and design, both being excellent! It’s a slightly downgraded version of the earlier discussed P Series, but has everything that a standard user requires, that too at a lower price. Once again, the model lacks a TV tuner and to make the problems a bit worse, the remote tablet is not very user-friendly. But overall, the Vizio M Series gets a full mark for both, performance and accuracy. The long forgotten TCL TV sets are making a comeback with this amazing Roku TV design. It has an amazing user interface and has a huge collection of 4k apps. It comes with a Roku remote which needless to say is slim and simple in design. 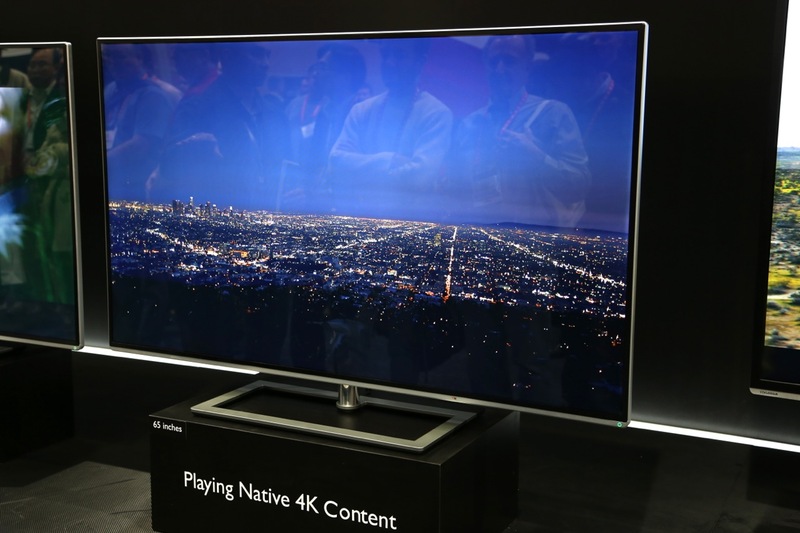 Its drawback is the low image quality compared to its low-budget competitor like Vizio. Last but not the least is our Sony XE90 series. The HDR in this TV set is mesmerizing and coupled with great contrast control; this unit takes one of the top spots in quality and performance. Its motion handling capability is one of the highest and added with a fairly well performing Android remote, the Bravia XE90 should be your first choice if you hop into the market with a medium budget. Its only drawback is the brightness in the HDR format which is not among the list of the brightest. However, as an overall rating, we would suggest this to be your genie wish number 3! With all the above knowledge and review, we hope that your investment choice will be a rather wise one! GetResponse-What Happens When Email Marketing is Supplemented by Powerful Tools?